Vince Carter’s Dining Room offers an upscale-casual atmosphere with comfortable booth and table seating surrounded by one of a kind art elements including a spectacular floor to ceiling water wall. Additional patio seating for 24 guests overlooks “Lake Carter” with dramatic fountain views. The restaurant’s design integrates warm earth tones with accents of Country Ledge Stone, brushed metal and Douglas Fir wood beams that span the entire dining room. 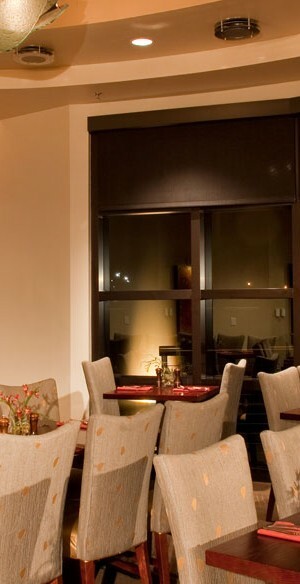 The mood in the restaurant is enhanced by a service style dedicated to the comfort of guests. The Dining Room is open for lunch and dinner 11:00 AM until 10:00 PM Sunday through Thursday, until 11 PM Friday and Saturday nights. The Highlight Zone Sports Grill at Vince Carter’s can best be described as a technological wonder. Featuring a 50-foot media wall, anchored by a 103-inch plasma screen, guests can view their favorite teams like never before. In addition to the media wall, which features six more 65-inch plasma screens, The Highlight Zone also offers relaxed sports viewing from the adjacent oversized couch seating. Guests seated in one of these three areas are made to feel they are in their own living room. Another 14 perfectly positioned televisions, flanking both sidewalls of the Highlight Zone, provide more great game viewing for guests. 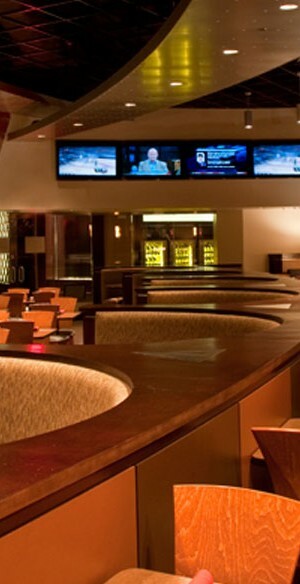 The multi-level sports grill also features seating for 20 along its 45-foot bar, and offers one of the area’s best “happy hours” and daily drink specials. Cigar and cigarette smokers will appreciate the adjacent outdoor patio featuring three flat screen televisions, so they won’t have to miss a minute of the action. The Highlight Zone is open 11:00 AM until 11:00 PM Sunday through Thursday and 11:00 A.M until Midnight Friday and Saturday. 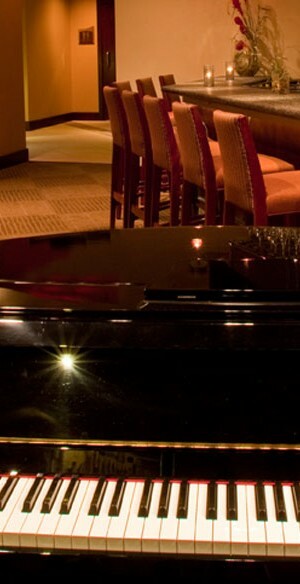 Mikala’s Piano Lounge is the perfect place to meet friends for cocktails prior to dinner or to spend the evening in a relaxed, music filled setting. Mikala is Hawaiian for Michelle, and the sophisticated ambiance of this unique entertainment venue pays apt tribute to its namesake. Mikala’s features a wide selection of wines by the glass and liqueurs, with an attentive bartender catering to Lounge guests. Comfortable bar chairs and intimate banquette seating also invite guests back to Mikala’s to unwind after a great Vince Carter’s meal. The Owner’s Box at Vince Carter’s offers a truly exclusive, one-of-a-kind dining experience. With its private entrance and limousine parking, guests will all feel like celebrities when invited to The Owner’s Box for a special occasion, business engagement or presentation. A reception area with private restroom, secluded lakeside terrace, on-site audio/visual equipment and, a stunning 2-story crystal chandelier highlight this very special dining venue. © 2019 Vince Carter's. All Rights Reserved.